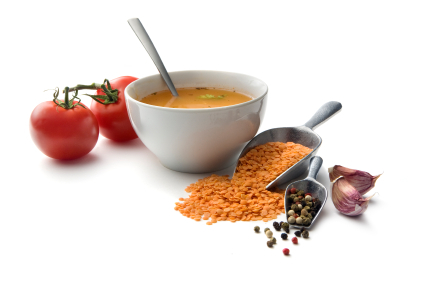 Weight Loss Dietitian Blog: Foods & Recipes->"Beans, Peas, & Soy"
Lentils are growing in popularity, perhaps because they cook quickly and are an excellent protein source for vegetarian and vegan diets. There are many different varieties on the market now that work well for salads and soups. Tofu is plant protein at its best: easy to use, nutritious and adaptable to many different types of recipes. Due to its high fiber content, garbanzo beans are excellent for weight loss diets because they keep you fuller longer and control appetite.